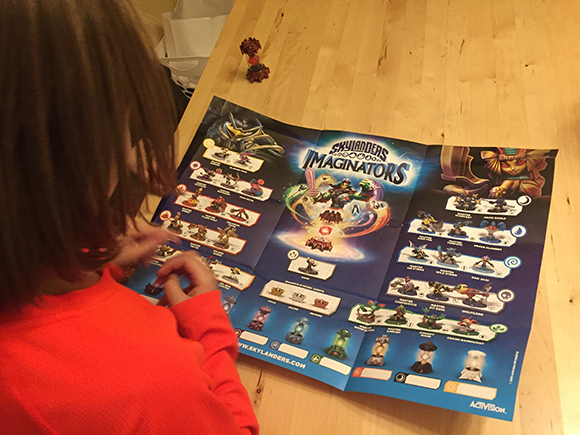 We received a copy of Skylanders Imaginators to facilitate our review. All opinions are honest and our own. 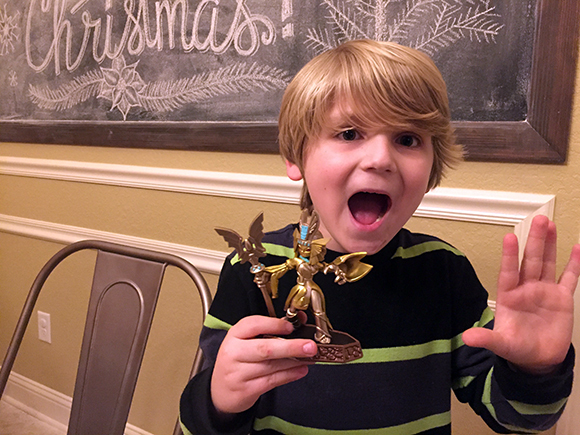 Our boys have been fans of the Skylanders games for a long time – you can see our reviews of Trap Team and SuperChargers I’ve posted in years past. Well, I can say without a doubt that Imaginators is their favorite iteration yet. Just like in previous versions, players can put Skylanders figurines onto a Portal of Power, which will then allow players to control the figurine-represented character in the game levels. 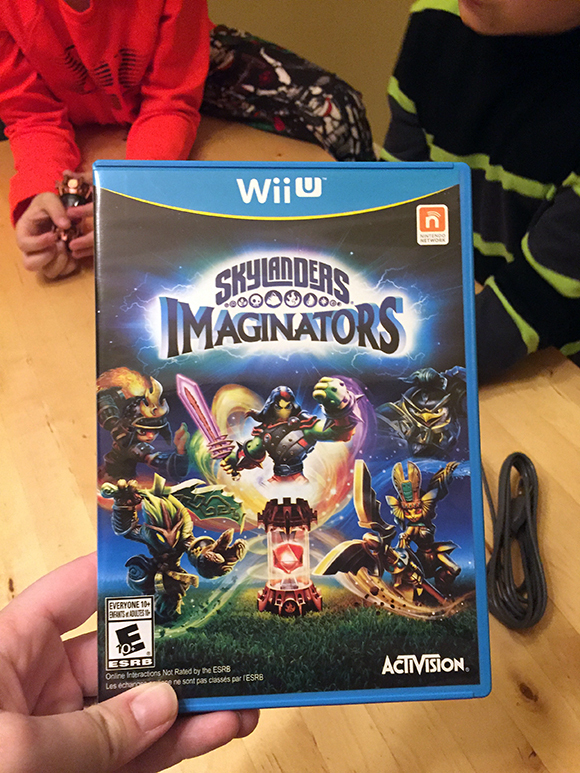 The addition that makes this version so special is “Imaginators”, which are characters created by the player. 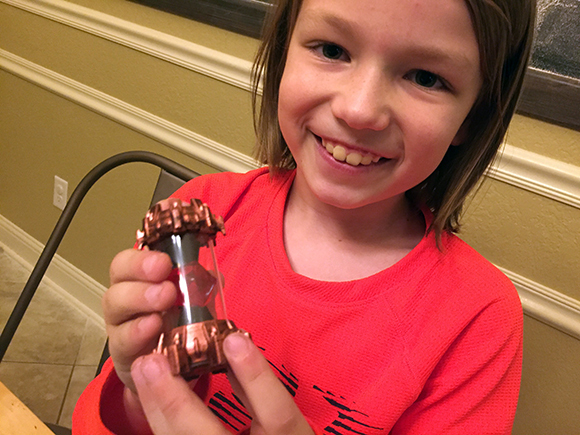 Creation Crystals (like the one shown in the photo below) are where the Imaginators are stored. With creation crystals, the boys can transport their Imaginatiors to all video game consoles the game is released for. At the beginning of the game, players can select a battle class and elemental class, which determines their fighting style. Afterwards, players can customize all sorts of things for their Imaginators, like: names, voices, powers, appearances, colors and sizes. Body parts, which are classified into four types, namely Common, Rare, Epic, and Ultimate, can be found when players are exploring in the game. These new parts can be used to customize the player’s existing imaginators, which can be modified at any time. 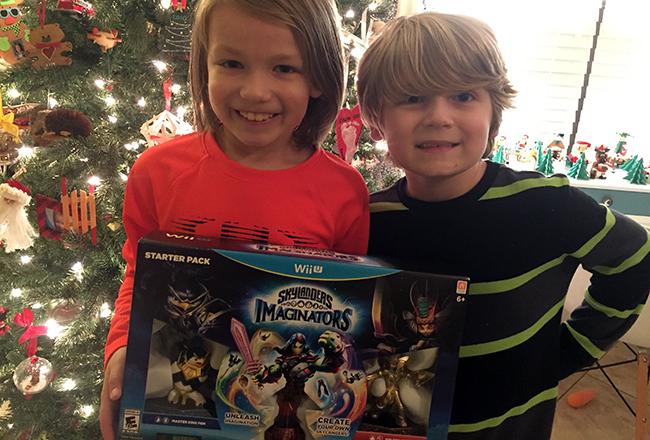 You can find Skylanders Imaginators at most major retailers and on Amazon. 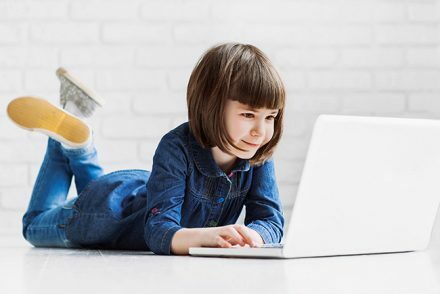 It’d make a great Christmas gift for kids who love gaming and getting creative!